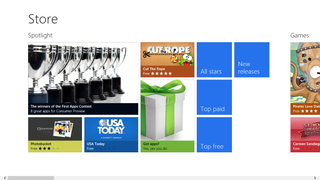 The cesspool that is the Windows Store available in Windows 8 is finally getting a clean up. Microsoft is getting rid of 1,500 fake apps from the Store and will refund your money if you fell for a scam. The issue was first pointed out by How-To Geek, which discovered that it was in fact totally not hard to run into obviously fake copies of legit apps, as you can see in the image below, for instance. "Within half an hour we managed to find fake paid versions of Adobe Flash Player, Firefox, Pandora, IMDB, Candy Crush Saga, Wechat, WhatsApp, uTorrent, Picasa, Bluestacks, Minecraft, Spotify, Google Hangouts, Picasa, Clash of Clans, Blender 3D, and a lot more", writes How-To Geek.